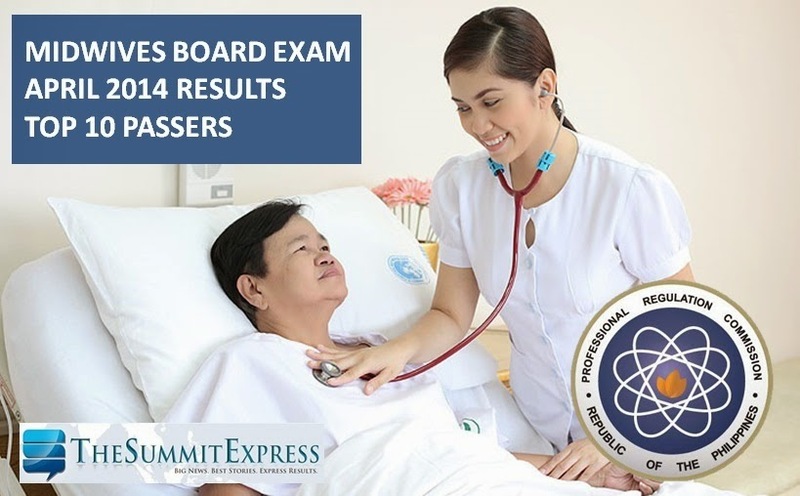 The Profesional Regulation Commission (PRC) on Friday, May 2, 2014 announced the results of April 2014 Midwife board exam. 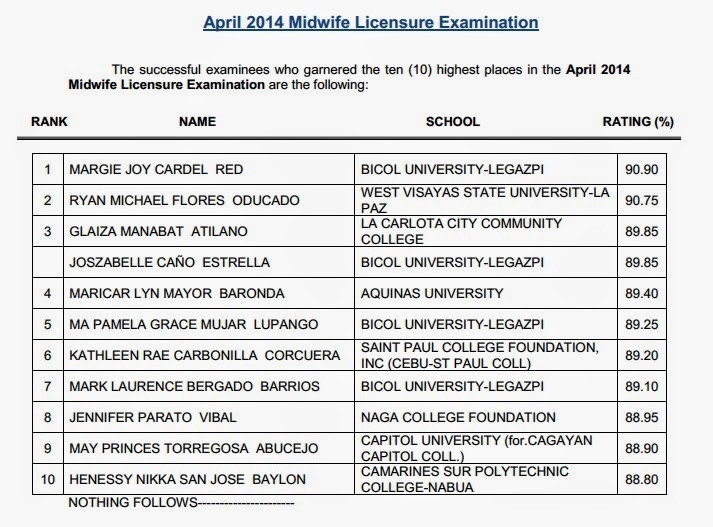 Margie Joy Cardel Red, graduate of Bicol University-Legazpi topped the licensure exam with 90.90 average grade. Ryan Michael Flores Oducado of West Visayas State University- La Paz ranked second with 90.75 percent grade.